Although usual, the works of sound creation of TEA FM always look around to press the environment and look for those sounds that are hidden behind the silence or the screams, as both contaminate the speech and the listening. In these days, almost all the sounds that arrive at any place of Europe from our latitudes refer to Catalonia. IMAGE: El Periodico de Aragon. April 23th 1992. Aragonese people in front of Spanish Parliament, Madrid. This creative documentary that TEA FM puts in your ears is born of our own Aragonese identity. Aragon, an uninhabited territory (along with Lapland, of which the least inhabitants per square kilometer has in all Europe), with a proper language that is only speak by 12000 people and that is cataloged like the more reduced language than those that exist in Europe and a population of just over one million people aged and dispersed in a territory with the size of Switzerland. What we put in your ears is not a claim program. Nor it meant to be informative. We just want you to listen to those sounds that exist and are not heard from the protests that have been produced and are taking place right now in Aragon for many years and are deaf to the media noise of who only wants public opinion to look in one other direction. Como es habitual, los trabajos de creación sonora de TEA FM miran a su alrededor para pulsar el entorno y buscar esos sonidos que quedan ocultos tras el silencio o los gritos, pues ambos contaminan el discurso y la escucha. 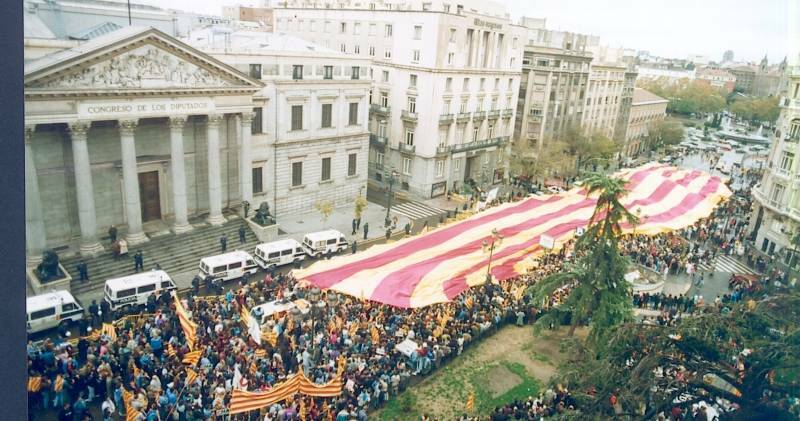 En estos días, casi todos los sonidos que llegan a cualquier lugar de Europa desde nuestras latitudes se refieren a Cataluña. Este documental de creación que TEA FM pone en tus oídos nace de nuestra propia identidad aragonesa. Aragón, un territorio despoblado (junto con Laponia, de los que menos habitantes por kilometro cuadrado tiene en toda Europa), con una lengua propia que tan solo hablan 12000 personas y que está catalogada como la lengua más minorizada de las que existen en Europa y una población de poco más de un millón de personas envejecida y dispersa en un territorio del tamaño de Suiza. Lo que ponemos en vuestros oídos no es un programa reivindicativo. Tampoco pretende ser informativo. Solo queremos que escuchéis aquellos sonidos que existen y no se oyen de las protestas que se han producido y producen en Aragón desde hace muchos años y que quedan sordos ante el ruido mediático de quien solo quiere que la opinión pública mire en una dirección. This entry was posted in #39 and tagged TEA FM. Bookmark the permalink.